For a weird, Z-grade movie, The World’s Greatest Sinner is remarkably prescient. In the ‘60s and ‘70s, there would be an explosion of God Hilliards out there. The Manson Family, the MOVE, the SLA, and Jonestown were all political and religious hybrid cults with charismatic leaders that led their followers into horrible ends. The film’s music was composed and conducted by an (at the time) unknown musician from the L.A. area, Frank Zappa. There’s nothing in the music that is noticeably Zappa-esque, it mostly sounds like countless other swinging soundtracks from no-budget ‘60s films. 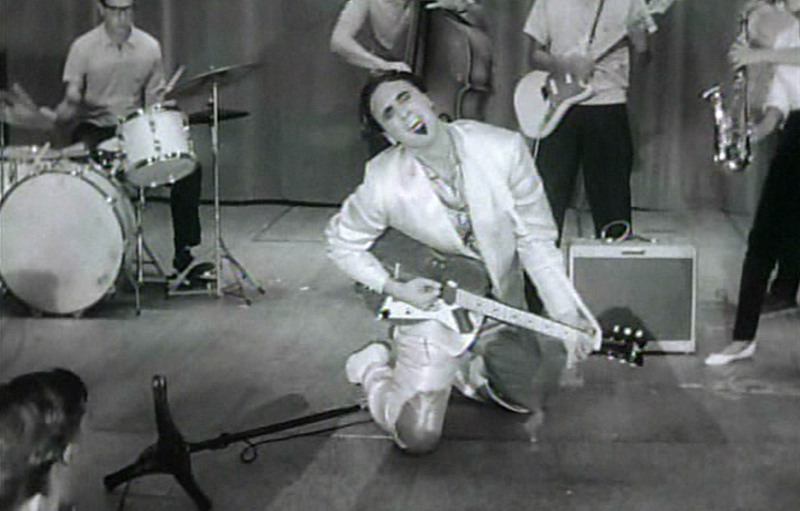 Zappa briefly promoted the film during his 1963 appearance on the Steve Allen Show. There to show off his talents at playing the bicycle as a musical instrument, Zappa casually calls The World’s Greatest Sinner, “the world’s worst movie.” Zappa would later make the world’s worst movie, the unwatchable dreck known as 200 Motels. The World’s Greatest Sinner failed to gain any wide distribution. For decades the film was the stuff of legend with rough bootlegs being passed around. That started to change with its initial airing on Turner Classic Movies – you can now purchase the film on iTunes. I first heard about it on a list compiled by Lux Interior and Poison Ivy of The Cramps where they ranked it their favorite film. Carey continued to work as a character actor in TV and films until his death in 1994, though he never completed another film as a director. He did work on directing Tweet’s Ladies of Pasadena, but the film was never completed and it has been said that the footage is unwatchable. Regardless, Carey has morphed into a full-blown cult movie icon. 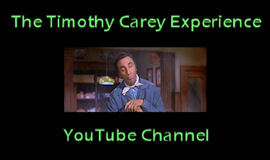 The Timothy Carey Experience is a regularly updated fan site dedicated to the legendary character actor. As is the case with many no-budget, Z-grade films from the ‘60s, The World’s Greatest Sinner can be rough around the edges. The film does avoid the Z-grade pratfalls of padding the running time with stock footage to hit the 90-minute mark, running a tight 77-minutes. Even though Carey has worked with some of the greatest filmmakers in history, his work as a director varies from borderline incompetence to borderline brilliance. Even though the film isn’t the work of a cinema virtuoso, it’s an unusual, brave, and uncompromising work. Like its star, writer, and director,The World’s Greatest Sinner is truly one of a kind.